Since the economic recession in 2008, we’ve seen a serious decrease in the number of jobs available. Companies slashed budgets and had massive layouts, and instead of rehiring have found ways to keep things “more efficient” and get more work out of the employees that they had left. The growth in the number of people who go to colleges and universities means that students are paying more money in order to get less valuable degrees. There’s high competition in almost every field, and not enough jobs. Corporations and banks are getting wealthier, but job prospects for the lower and middle classes are looking bleaker. Competition for jobs is extremely high, and the old models of applying for jobs have changed. No longer can you just send out resumes to companies and hope for a job, because that resume just goes into a heap of other resumes sitting on the floor. Career fairs are a good starting point, but even that’s not the best way to get hired. If you want to find a job, being just another face in the crowd isn’t going to cut it. 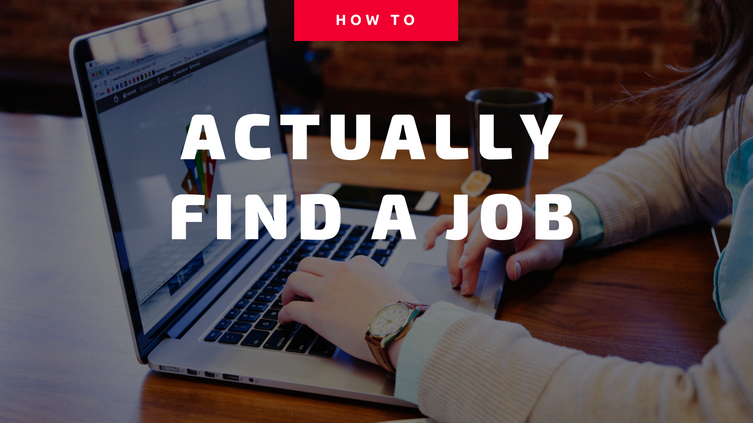 So what’s the secret to job hunting? Sales is a dirty word. It conjures up images of used-car salesmen and infomercial pitchmen attempting to sell things that nobody needs to people who really could be using their money better on something else. However when you are hunting for a job, you can’t be going in with the mindset that somebody owes you a job. If you’re thinking “IBM is a huge corporation, and I spent all this money to study computers, they owe me a job,” then you’re approaching this with the absolute wrong attitude. Looking for a job is not YOU asking THEM to give you a job. It’s YOU giving THEM a product (your time and effort) in exchange for their money. Job hunting isn’t about receiving, it’s about delivering. How can I provide a better product than the other people applying? Do I work harder? Do I work smarter? Do I have specific experience that is relevant? Etc. How can I sweeten the deal? Am I more local? Can I take a lower pay? Am I single an can work more hours, or am I married and can prove commitment? What sets me apart from other people? If we’re all selling the same or similar skillsets, what can I bring to the table that’s a differentiating factor? Do I have a unique experience – like living abroad or speaking another language? What do I have that can set me apart in the minds of the people hiring? Good salesmen make a personal connection. Communicating with you breaks you out of the business-only transaction that’s taking place. They attempt to find common ground with you, and ask you questions about yourself and attempt to relate. They attempt to become your friend or at least an acquaintance. If you know somebody as a person instead of as a faceless corporate representative, you’re much more likely to trust them, and to feel like they have your best interests at heart. You need to make a personal connection with your interviewers, with the people in the office when you’re waiting for an interview, etc. Talk to the secretary in the waiting room. If you charm people and turn them into your friends, they’re much more likely to vouch for you. If everyone who applies sits nervously, and one person is at ease and making friends in the company, then the people at the company already know that that one friendly outgoing person is going to be a closer match based on personality than somebody who was cold and a dead fish. Personal connections also lead to referrals. It’s important to go out and make friends in the industry or a related industry to the one you’re attempting to find a job in. For programmers, a lot of companies throw events where like minded people can come together and meet. A hackathon or a conference or a seminar are places that you can show off your talent, but more importantly make important connections to people in the industry. Even if people you meet aren’t hiring, if they like you and you keep in touch with them, they may know somebody who is hiring for a position that meets your skillset. Personal referrals are one of the most powerful ways to get a job. Who would you hire, if you had two equally qualified resumes on your desk, and your best friend says “You should hire Person A, because I met him and he’s a great guy”. Most rational people would hire the person they’ve received a recommendation for, because they trust the referring friend’s opinion. The days of passively sending in a resume to a number of companies blindly is over. In order to get a job, you need to provide value, stand out, and make a personal connection. Building a network of intelligent people in the industry is a great way to get referred into a job position. By thinking with a “How can I provide value in exchange for money” attitude instead of a “I studied for four years and I deserve a job” attitude, you’ll greatly increase your chances of getting hired.